“This year more than ever we have been really deliberate in working with sponsors and exhibitors that build great value for the partners that are attending,” said Microsoft director partner business and development, Philip Goldie. Goldie explained that the exhibitors and sponsors present at the 2015 event are there because they add distinct value to the Microsoft APC 2015 proposition: connecting to opportunity. “We have distribution partners like Dicker Data and Synnex that are instrumental in providing solutions to the channel and increasingly helping our partners sell Cloud offerings. We also have Telstra as a syndication partner for Cloud and Ingram Micro and Rhipe as our 2-tier Cloud Solution Provider (CSP) wholesale partners. Goldie said that no matter the business model a partner has or how they go to market, they will have the right wholesale providers there that can talk about building a Cloud business with Microsoft. The recently announced Surface channel expansion is yet another avenue partners can leverage to drive sales and business growth. “With Ingram Micro and Synnex, we have our two Surface distributors at the event as well,” said Goldie. Goldie made the point of highlighting a number of independent software vendors (ISVs) that will be at APC 2015 and create complimentary offerings in and around platforms like Microsoft Azure, Office 365 and Dynamics CRM Online. In fact, as the man himself says, there are far too many to name. 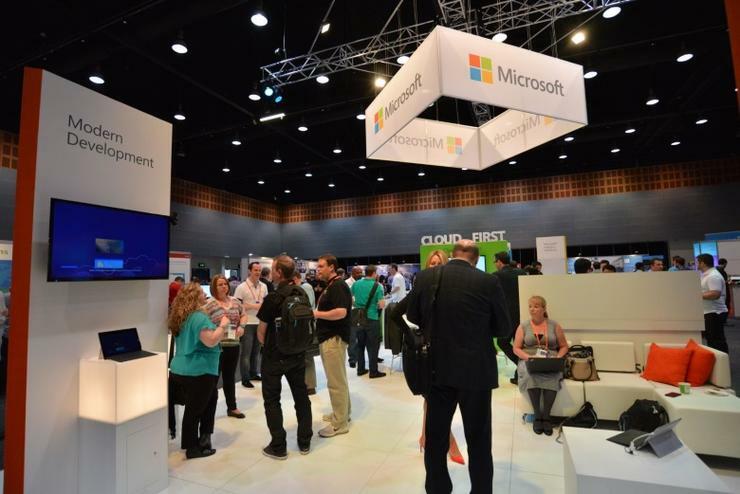 Partners looking to get a sneak peek at the vast array of exhibitors and sponsors at Microsoft APC 2015 should head to the website to find out more.